This woman stays earning mad coin, while making us wait for that hotly anticipated new album. 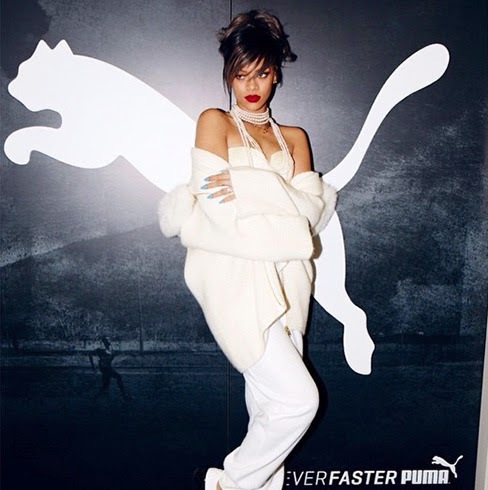 Earlier today, Rihanna was officially named Creative Director of Puma. According to WWD, she will oversee the direction of the sporting brand’s womenswear line, and flew to Puma’s headquarters in Germany this week to meet with the design team. She picked out colours, styles, and also discussed the line’s direction. As part of a multi-year partnership, Rihanna will take a hands-on approach with Puma’s fitness and training line, including apparel and shoes. In the past, she has previously modeled for fashion brands including Gucci, Emporio Armani, and Balmain. Pop star turn fashion icon making big moves. Boss!